Korea's largest airline, Korean Air, will introduce its first nonstop link to East Africa on a scheduled basis. From 21 June 2012 the airline will offer three weekly flights between Seoul Incheon <> Nairobi in Kenya. Korea's flag carrier will operate an Airbus A330-200 aircraft on the route. The flying time for the Seoul > Nairobi leg is 13:15hrs (14hrs from September 2012), so that this route will become the presently longest scheduled nonstop flight to be operated on board an Airbus A330-200 aircraft. Korean Air is already code-sharing on fellow SkyTeam carrier Kenya Airways' flights between Nairobi and Bangkok, providing a quick connection to Seoul on the other four days of the week. The Tau Game Lodge in the Madikwe Game Reserve, located 90 km north of Zeerust and only three to four hours' drive from both Johannesburg and Pretoria, has introduced five crocodiles to the waterhole in front of the lodge. The five crocs are just three years old, but even so they’re already two metres long. The crocodiles, which are coming from a crocodile farm in Groot Marico, have been notched for identification purposes. They are currently in a holding area on one side of the waterhole, where they will be given time to adapt to their new environment. A croc-proof fence has been erected to ensure the safety around the waterhole. Comair Limited, operator of British Airways in South Africa and kulula.com, has announced that it will stop its Johannesburg <> Nelspruit service as of 11 Feb 2011. In addition to that the airline also confirmed that it will suspend the Johannesburg <> Vilanculos (Mozambique) service. Federal Air, one of the market leader in aviation shuttle and charter services, will continue with the service under its own brand. Cape Town International Airport (CTIA) is the primary airport serving the city of Cape Town, is the second busiest airport in South Africa and third busiest in Africa. Located approximately 20 km from the city centre, the airport was opened in 1954. Cape Town International Airport is the only airport in the Cape Town metropolitan area that offers scheduled passenger services. Some of the accommodation establishments close to the airport are offering shuttles to and from the aiport. In case they don't, see Cape Town Airport Shared Arrival Transfer or Cape Town Airport Shared Departure Transfer. Filmed in the MalaMala Game Reserve in South Africa, the following video shows how close wildlife filmmaker Kim Wolhuter gets to a pack of wild hyenas. He even gets that close and personal with the beasts that he could film them in the middle of a night kill! 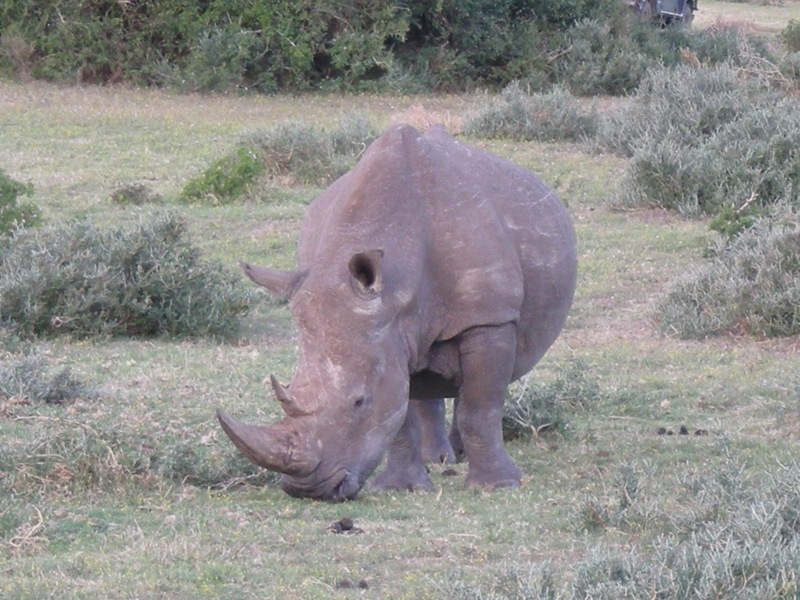 MalaMala Game Reserve is the largest private Big Five game reserve in South Africa. Comprising 13300ha, MalaMala shares a 19km unfenced border with the world-renowned Kruger National Park, and lies strategically sandwiched between the National Park and the Sabi Sand Reserve. A great city portrait, but not a usual one! It shows the City of Johannesburg from a skater's perspective. Kudos to the local skateboarding community as well as to Reporobait, a South African independent online resource for skateboarding related activities, for sharing the video! City of Johannesburg from Reprobait Magazine on Vimeo. If you want to know more about skateboarding in Johannesburg and South Africa, contact the dudes from Reporobait and/or check the map on their website. The national airline of Oman, Oman Air, is increasing its service to Zanzibar from 3 weekly to 5 weekly from 25 March 2012. The flight continues from Zanzibar to Dar Es Salaam. The overall service to Dar Es Salaam remains daily, although nonstop in both direction will operate twice weekly instead of four. Oman Air operates scheduled domestic and international passenger services, as well as regional air taxi and charter flights. The airline's hub is Muscat International Airport. Omain Air currently operates flights to Cairo, Dar Es Salaam and Zanzibar in Africa, as well as to 17 destinations in South Asia, 14 destinations in Southwest Asia and to 6 destinations (Paris, Frankfurt, Munich, Milan, Zürich & London) in Europe. 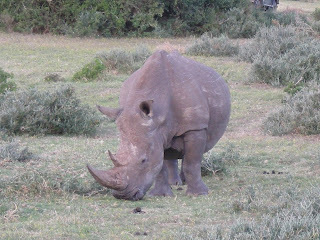 Check out responsibletravel.com's pick of late availability holidays & special offers in Southern & Eastern Africa. Please note these trips can change day to day without notice, so don't delay! 5% OFF! Book any of our tours and you will receive a 5% discount on the tour price. Early Bird Discount. 5% off all 2012 trips booked before Febuary 29th. Right now, we're exploring the globe for pioneers. if you're an adventurous and ambitious soul and if you'd enjoy being one of our intrepid travellers book any of our volunteering trips before April 2012, travel within the year and save 20%! Tailor-made self drive tour around South Africa's Cape winelands, departures can be arranged all year, from £550 (8 days) ex flights. Like every year, Cape Town's Table Mountain Cableway will close for for some days in winter for its annual maintenance. 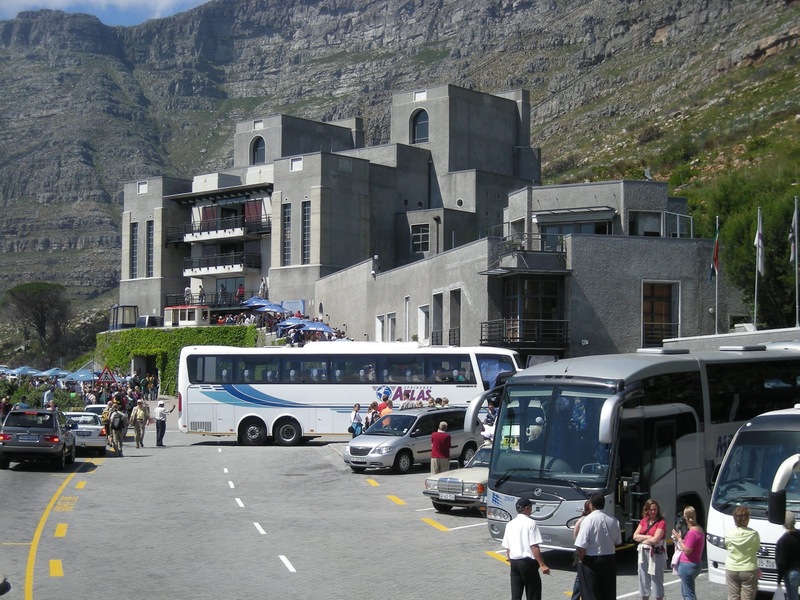 In 2012 the Cableway will be closed from 23 July 2012 and will reopen on 06 August 2012 if weather permits. The Cableway Visitor Centre will be open during this period and will operate normally. The Naukluft Mountains are a massif in central Namibia, forming the easternmost part of the Namib-Naukluft National Park. The mountains are known for their wildlife, including the rare klipspringers, mountain zebras and leopards, as well as for their Quivertrees, clear rock pools, their many small streams and waterfalls. Toast Coetzer from South Africa's outdoor & travel magazine "Go!" visited the area and shot the following video footage. Cheers & kudos! 1. Buellsport Guest Farm is located 50km south of Solitaire and about 250km southwest of Windhoek. Hiking is the main acitivity at the farm. 2. The Quivertree Gorge hiking trail is Buellsport Guest Farm's most popular trail. The trail is about 5km long. 3. Camping at Naukluft Camp (booking via Namibia Wildlife Resorts) in the Namib-Naukluft National Park. The camp is know for its hiking trails, nature walks and for bird watching. 3. Tsauchab River Camp offers a family hide-out and thatch roof chalets, exclusive and private camp sites, tented bush camp, restaurant on request, farm shop, fire wood, meats and many more. All non guided activates are free for all our guests, hiking trails and 4x4 trails, natural springs, sundowner view points and swimming pool. 5. Tsauchabfontein, just down the road/river from Tsauchab River Camp, is the place to go to if you are looking for the best rock pools in the area. In response to an application filed by Zimbabwe's National Airways Workers Union and Air Transport Union demanding the payment of unpaid compensation of US$35 million going back to 2009, Air Zimbabwe was placed under judicial management by the Zimbabwean High Court. According to Caleb Mucheche, the lawyer representing the workers of Air Zimbabwe, the struggling airline is now facing a possible liquidation after the High Court appointed a judicial manager and barred the Air Zimbabwe board from any involvement with the company. Zimbabwe's newspaper "The New Zimbabwe" is furthermore reporting in their online edition that Air Zimbabwe is currently battling a US$140 million debt pile including obligations to the National Social Security Authority (NSSA), Zimbabwe Revenue Authority (ZIMRA) as well as the workers’ medical aid and pension schemes. Etihad Airways, the national airline of the United Arab Emirates, introduced inflight passenger connectivity services, meaning that during flights guests of the airline will have full mobile connectivity, enabling them to use their own mobile phones and Smartphones to make and receive phone-calls, send and receive text messages and emails, and access mobile data services. The airline has currently three Airbus A330-300 and one Airbus A320 aircraft equipped with the service. The A320 is used primarily for short-haul routes throughout the Middle East, and some mid-length routes such as Istanbul, Athens, Minsk, Cochin, Bangalore and Mahé in the Seychelles and the A330-300 will be used on long-haul flights to Frankfurt, London, Paris, Geneva, Casablanca and Seoul. Etihad Airways serves 82 cities in the Middle East, Africa, Europe, Asia, Australia and North America, with a fleet of 64 Airbus and Boeing aircraft, and 100 aircraft on order, including 10 Airbus A380s, the world’s largest passenger aircraft. Sarah & Lisa, two photojournalists from South Africa's travel & outdoor magazine "Getaway", took a Mini in September & October 2011 and travelled all the way from Johannesburg up to Lake Malawi, travelled around the lake and, according to the pics, had a perfect jol at the Lake of Stars festival. If you are planning such trip, check out the video below and read their blog for some great travel info! Enjoy! Kudos @ Sarah, Lisa & Getaway! Two male two-and-a-half-year-old cheetahs have been introduced to the Mabula Private Game Reserve in Limpopo. The reserve is about 12,000 hectares in area and is about 45 km from Bela Bela (Warmbaths). This is the first time cheetah have been introduced to the reserve. Both cats were born and grew up in the Sanbona Wildlife Reserve in the Western Cape and are completely independent from their mother and have been hunting on their own for at least six months. Before they were introduced into the Mabula Private Game Reserve, the cats spent some weeks in a boma to become familiar with their surroundings and to curb their instinct to run away, in an attempt to return to where they came from. Back in June 2010 the so-called Majingilane coalition, a group of ousted male lions believed to have come into the area from either the Manyeleti Game Reserve or Kruger National Park, arrived in the Sabi Sand Game Reserve. Shortly thereafter the lions began to take control from the resident Mapogo coalition of lions. Since that day in June 2010 the rangers, trackers and guests of the Londolozi Game Reserve and its surrounding properties have witnessed this reality. "Majingilane - The Story of Lion Warfare", a 15min short film, tells us their story! update (22 Feb 2012): Gulf Air will operate the service with two sets of schedules, replacing the previously planned unified schedule. The flag carrier of the Kingdom of Bahrain, Gulf Air, will increase its Bahrain <> Nairobi service from 5 to 6 weekly flights as of 29 May 2012. In addition, the schedule on this route will be unified to day-time departure from 25 March 2012. Gulf Air operates scheduled services to 45 destinations in 28 countries across Africa, Asia and Europe. Its main base is Bahrain International Airport. The airline is part of the Oneworld global explorer fare and has currently extensive codeshare agreements with Ethiopian Airlines, American Airlines, Egypt Air, KLM and 14 other airlines. January, there is no better time to make huge savings on your next big adventure and this weekend Kumuka are offering a rare opportunity to get 30% OFF your next tour. Ends this Sunday 22 Jan 2012. Kumuka are offering this amazing discount on tours in Africa, Asia, Europe, Latin America, and The Middle East. Simply vist Kumuka' website to browse the wide range of tours available. Book in the currency of your choice $USD, GBP or Euro and take advantage of exchange rates to save even more on your next big adventure. Use the promotional code BIGSAVE12 when booking. Book between 20 - 22 January 2012. Book with your travel agent or book online at Kumuka' website. Travellers coming to Cape Town should keep in mind that the City of Cape Town is currently in the process of re-naming various streets. Four of Cape Town's roads already got new names, while eight of the city's most widely used roads are in the queue to get re-named. The pedestrian section of Castle Street is to be renamed after Khoisan leader Krotoa. update (21 Feb 2012): To view the list of proposed all proposed name changes affecting streets & public places, click here. For more info about all 27 naming proposals in Cape Town, click here. Dubai's flag carrier, Emirates, will introduce a direct service between Dubai and Entebbe in Uganda. Entebbe, situated about 40km southwest of Kampala, is the location of Entebbe International Airport, Uganda's largest commercial airport. Starting 25 March 2012, Emirates will operate an Airbus A330-200 on its Entebbe routes in a three-class configuration, featuring 12 luxurious First Class seats, 42 seats in Business Class and generous space for 183 passengers in Economy Class. Flight EK 729 will depart Dubai at 08:25hrs each day, arriving in Entebbe at 12:35hrs. The return leg, EK 730, will leave the Ugandan city at 15:40hrs and get into Dubai at 21:55hrs. With a fleet of 168 aircraft and the largest A380 and Boeing 777 operator in the world, Emirates currently serves 20 destinations in the African continent, with new services to Zambia and Zimbabwe starting from February 2012. Passengers on all Emirates’ flights also have the added bonus of extra baggage allowance with 30 kilogrammes permitted for those travelling in Economy Class, 40 kilogrammes for Business Class and 50 kilogrammes for First Class passengers. To date, Emirates’ Entebbe route has been operated as a linked service with Addis Adaba. The Zambian town of Livingstone is going to host a festival to celebrate bicentenary of its founder David Livingstone between March and October 2013. 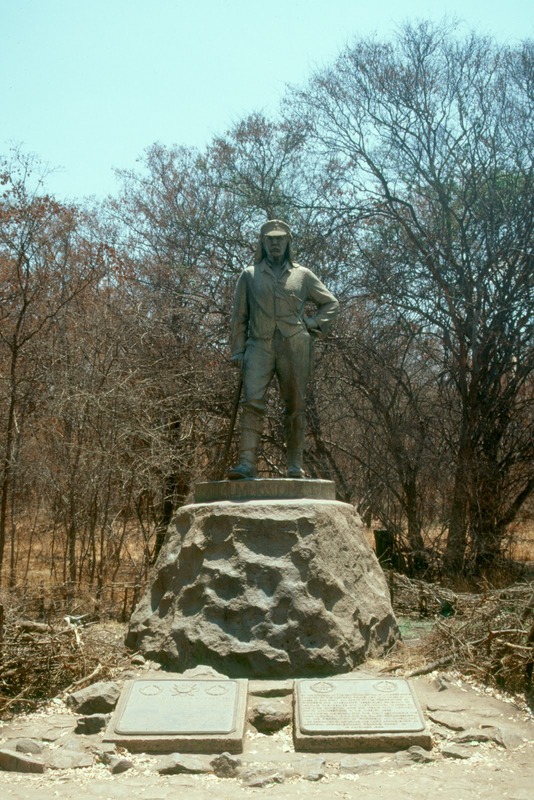 David Livingstone, born on 19 March 1813 in Scotland, was the first European to set eyes on the Victoria Falls in the mid-1890s, which he named after Queen Victoria. The town of Livingstone, in turn, was named after him. The recently formed Livingstone Arts, Cultural & Sporting Events Development Organisation is, in cooperation with the local community, businesses, the government and other organisations, organising the festival, which is expected to be officially launched by the Zambian government between February & March 2012. The Livingstone festival will be a feast of cultural and sporting events including an international arts exhibition, theatre and street theatre performances, traditional dancing, bands and concerts, soccer, seven-a-side rugby, David Livingstone Classic golf, cycling, 3-country trail marathon, motorcrosse, 4WD rally, a kite festival, multi-day events on the Zambezi, fishing and cricket. 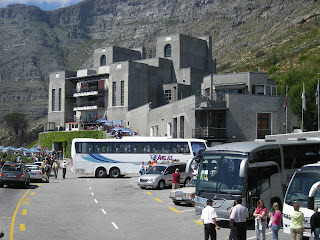 update (08 May 2012): The SA National Taxi Council (Santaco) had to postpone the start of its airline again, because the council failed to secure a legally binding agreement with Standby Travel, Cape Town company. In addition, Santaco has yet to reach an agreement with Lanseria International Airport on its use. South Africa's latest low-budget airlines, Santaco Airlines, owned by the SA National Taxi Council (Santaco), had to postpone its start of commercial operations to April 2012. At the launch of Santaco Airlines in September 2011, Santaco announced the airline would start commercial operations in November 2011, offering services from Johannesburg to Bisho and Cape Town. According to Santaco Spokesperson Thabisho Molelekwa, the airline is still awaiting the outcome of the license application. Olifants river at Kurhula Lodge near Hoedspruit in flood. update (22 Jan 2012): Crocodile River near Malelane Rest Camp in Kruger National Park 2 days after the flood. update (20 Jan 2012): Footage of the Bayamiti River in the southern Kruger National Park - usually a sand river with pools. update (20 Jan 2012): Most of the water levels around Letaba Rest Camp in Kruger National Park have now returned to normal but some roads got washed away and are impassable. Thx to odofad for the footage! A team from South African National Parks at Kruger National Park fixing a road damaged by floods. update (20 Jan 2012): The Blyderivierspoort Dam at Swadini in Limpopo is overflowing after the heavy rains in the area. The major dam is on the Blyde River, which runs through farmland and villages in the Lowveld. Meanwhile clean up operations are underway in Limpopo, Mpumalanga and the Kruger National Park after a devastating flood. update (19 Jan 2012): We found some more video footage showing the current flood situation in and around Kruger National Park. Sabie River flooding in Kruger National Park at Skukuza Rest Camp. Kruger National Park flooding - this is the Crocodile River passing through Nelspruit. We found some video footage showing the floods in Kruger National Park. The first video was shot at the Letaba Rest Camp, located midway between the southern and northern boundaries of the Kruger National Park, on 18 Jan 2012. Thx to odofad for the footage! The second video is showing the Crocodile River in flood at Malelane Gate Bridge on 18 Jan 2012. Thx to Luciavd for the footage! update (02 August 2012, 15:00): Kruger experienced some heavy floodings in Jan 2012. Except for some roads, all affected facilities, inclunding all camps and picnic spots, are open again. Check SANParks latest update on the Kruger National Park flood notice for some detailed info. Click here! update (13 June 2012, 09:00): Kruger experienced some heavy floodings in Jan 2012. Some parts of the parks are still affected. SANParks has therefore published a new update on the current situation in Kruger National Park. Click here for more info about the affected rest camps, roads and gates. update (07 May 2012, 17:00): Kruger experienced some heavy floodings in Jan 2012. Some parts of the parks are still affected. SANParks has therefore published a new update on the current situation in Kruger National Park. Click here for more info about the affected rest camps, roads and gates. update (02 May 2012, 17:00): Kruger experienced some heavy floodings in Jan 2012. Some parts of the parks are still affected. SANParks has therefore published a new update on the current situation in Kruger National Park. Click here for more info about the affected rest camps, roads and gates. update (26 April 2012, 15:00): Kruger experienced some heavy floodings in Jan 2012. Some parts of the parks are still affected. SANParks has therefore published a new update on the current situation in Kruger National Park. Click here for more info about the affected rest camps, roads and gates. update (05 April 2012, 17:00): Kruger experienced some heavy floodings in Jan 2012. Some parts of the parks are still affected. SANParks has therefore published a new update on the current situation in Kruger National Park. Click here for more info about the affected rest camps, roads and gates. update (27 March 2012, 09:00): Kruger experienced some heavy floodings in Jan 2012. Some parts of the parks are still affected. SANParks has therefore published a new update on the current situation in Kruger National Park. Click here for more info about the affected rest camps, roads and gates. update (15 March 2012, 17:00): Kruger experienced some heavy floodings in Jan 2012. Some parts of the parks are still affected. SANParks has therefore published a new update on the current situation in Kruger National Park. Click here for more info about the affected rest camps, roads and gates. update (13 Feb 2012, 11:00): SANParks has published a new update on the current situation in Kruger National Park. Click here for more info about the affected rest camps, roads and gates. update (10 Feb 2012, 12:00): SANParks has published a new update on the current situation in Kruger National Park. Click here for more info about the affected rest camps, roads and gates. update (09 Feb 2012, 09:00): SANParks has published a new update on the current situation in Kruger National Park. Click here for more info about the affected rest camps, roads and gates. update (31 Jan 2012, 16:00): SANParks has published a new update on the current situation in Kruger National Park. Click here for more info about the affected rest camps, roads and gates. update (26 Jan 2012, 15:00): SANParks has published a new update on the current situation in Kruger National Park. Click here for more info about the affected rest camps, roads and gates. update (25 Jan 2012, 17:00): SANParks has published a new update on the current situation in Kruger National Park. Click here for more info about the affected rest camps, roads and gates. update (24 Jan 2012, 15:30): SANParks has published a new update on the current situation in Kruger National Park. Click here for more info about the affected rest camps, roads and gates. update (23 Jan 2012, 19:30): SANParks has published a new update on the current situation in Kruger National Park. Click here for more info about the affected rest camps, roads and gates. update (23 Jan 2012, 10:30): SANParks has published a new update on the current situation in Kruger National Park. Click here for more info about the affected rest camps, roads and gates. update (20 Jan 2012): Giriyondo Border Post is open! According to SANParks' CEO David Mabunda, no animal carcasses floating on the water were so far spotted in Kruger National Park. Rangers at the park believe the animals had sensed the disaster days before it happened and migrated to higher grounds. Kruger National Park is now 80 percent functional. update (20 Jan 2012), 12:00): SANParks has published a new update on the current situation in Kruger National Park. Click here for more info about the affected rest camps, roads and gates. update (20 Jan 2012): While all rivers have subsided and no infrastructure is currently threatened, SANParks has decided to block access to the Kruger National Park for all day visitors, as officials will not be able to locate them should they be stranded. update (20 Jan 2012), 09:00): SANParks has published a new update on the current situation in Kruger National Park. Click here for more info about the affected rest camps, roads and gates. update (19 Jan 2012, 17:00): SANParks has published a new update on the current situation in Kruger National Park. The good news is that all rivers have subsided and no infrastructure is currently threatened. Click here for more info about the affected rest camps, roads and gates. Crocodile Bridge: Camp open and Operational - (Water stopped 50m from fence). Lower Sabie: Camp open and operational. 6 Tents had to be evacuated. No units flooded – water level outside fence. Skukuza: No damage to rest camp – water on fence line. One house in staff village flooded. Flood damage at Skukuza Nursery. Tshokwane Picnic Site: Serious flood damage and closed. Balule: Guests and staff evacuated. Letaba: Camp open and operational. Talamati: Still cut off flood damage. Biyamiti: Still cut off – no flood damage. Pafuri Gate down to Mopani is fine. Mopani to Phalaborwa is fine. Mopani to Letaba is fineLetaba. Letaba to Olifants is fine. Olifants T-junction to Olifants at H8 to high level bridge is closed. Olifants high level bridge to Satara is fine. Satara to Orpen is fine. Satara to Tshokwane is fine. Crocodile bridge to Lower Sabie to Skukuza is fine. Crocodile bridge gate is closed due to flooded causeway. Skukuza to Malelane is fine via (detour to S114). Skukuza to Kruger Gate and Phabeni is closed. Phabeni to Kruger gate is fine. Pretoriuskop to Skukuza is closed. All gravel roads South of Letaba River are still closed. Malelane to (Berg en Dal and Skukuza). Phalaborwa (to Letaba and Mopani). Guests are urged to exercise caution around rivers as crocodiles are likely to be in flat areas. All gravel roads are closed. Also check News24 for pics of the flooding in Kruger! Tropical storm "Dando" has hit southern Mozambique since the beginning of the week and has resulted heavy rains as well as flooding in Kruger National Park. About 260mm of rain came down in 24hrs - that is about 60% of the monthly average, in one day. The road between Letaba and Satara is not accessible. Guests wishing to travel to Olifants and Letaba can only do that from Phalaborwa Gate. All gravel roads and low level bridges must be avoided. Fifth issue of free "Safari" digimag out now!